From left, with the statue of Pope John Paul II: Polish Consul General, Dr. Kryzysztof Olendzki, Louise Solecki Weir (sculptor), Archbishop Michael Miller and Mrs. Olendzki. 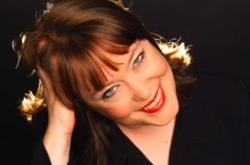 Photo by Colleen McLaughlin Barlow. Louise Solecki Weir and Colleen McLaughlin Barlow share an arts studio and a love of sculpting. And both are being widely recognized for their work. 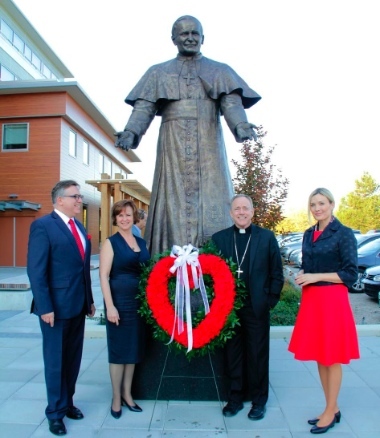 Last week (October 16), Weir’s statue of Pope John Paul II was dedicated at its resting place outside the newly built John Paul II Pastoral Care Centre (the headquarters of the Catholic Archdiocese of Vancouver) on 33rd Avenue at Willow Street. Considering the concepts put forward by the committee, my goal is to create an engaging and life-like portrait of Pope John Paul II, one that captures his compassionate, optimistic and charismatic personality as well as his spiritual depth. It will commemorate his visit to Canada [in 1984] and he will be depicted at that age. Archbishop Miller worked with Pope John Paul II in the Vatican and will be a significant source of guidance for this project. . . . Working with the Catholic community, the journey for me is more about understanding and respecting their spiritual connection to Pope John Paul II and trying to ensure that I capture something of his character in the piece. Portraiture is about the sitter, the artist’s job is to depict the subject using the techniques and talents at his or her disposal. I am touched by the confidence that is placed in me and I might be praying a little to get it right. Louise was the only female to compete for the project and won it, becoming the first female monumental sculptor in Canada to sculpt a pope. Monumental sculpture is really a boys’ club, with foundries, mold-making facilities etc. all run by men for other men. It is really a hard environment to crack. Louise’s achievement is not a small thing. The bronze statue is almost 10 feet tall and weighs more than 2,000 pounds. Fin Sculpture from the Whale Dreams exhibition at Beaty Biodiversity Museum, UBC. Beaty Biodiversity Museum at UBC is featuring McLaughlin Barlow’s Whale Dreams exhibition from October 2015 until February 2016. She has exhibited her work across the globe, and pieces from her Whale Dreams series have been shown in Montreal, Kyoto, Tokyo, Oxford and London. Dive into the underwater world of whales with Colleen McLaughlin Barlow’s breathtaking paintings and extraordinary crystal sculptures of whale bones. 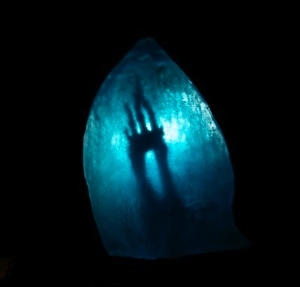 Marvel at McLaughlin Barlow’s luminescent whale bones, cast in lead crystal glass – each piece full of strength yet uniquely delicate. Admire her passion as you follow her series ‘Drawing My Way Through a Whale’ where every single bone of a dwarf sperm whale is catalogued and drawn. McLaughlin Barlow plays homage to these bones using multiple techniques: bold acrylics, electric chalks, delicate sumi-e inspired brushwork, texture-adding sea salt, and ink mixed with muddy water applied using a stick from the beach all work together to take the viewer on a magnificent journey of discovery. I thought you might find it interesting to hear something about my process, my ideas and how the art gets born. For me, it begins with God, it continues with God and it ends up with God. The idea or inspiration can come at any moment. I see a loved one through a rainy window or droplets of water on a spider’s web or the iridescence of oil floating in a mud puddle. Or the internal organs of the human body or the bones of a whale – it can all bring me to the point I need to make some art about that visual experience. Weir and McLaughlin Barlow are both members of the Sculptors’ Society of BC.